While at Normandy, Jason was a member of the Cross Country, Basketball, and Track & Field teams all four years. Jason was a three time Lake Erie League MVP in Cross Country. He was a four time letter winner in Cross Country, in addition to being a two time Regional Qualifier as both a junior and a senior. As a member of the Track & Field Team, Jason earned a varsity letter all four years. He qualified for the Regional Track Meet in the 1600 as a junior. He also earned First Team All-League Honors three times in the 1600, as well as First Team All-League Honors in the 3200 as a senior. As a member of the Basketball Team, Jason earned All-League Honors as a senior, in addition to earning three varsity letters. 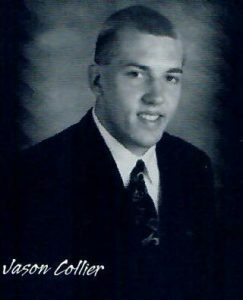 Jason attended Marietta College where he played basketball. While at Marietta, Jason was a three time varsity letter winner. As a senior at Marietta, Jason earned Academic All-Ohio Athletic Conference Honorable Mention. Jason earned a Bachelor’s Degree in Accounting from Marietta, and then he went on to get an MBA from Ohio University. Jason is a CPA and Senior Manager with the accounting firm Plante Moran. Jason currently resides in Broadview Heights.